As part of the NanoMaterials Enhanced Membranes for Carbon Capture (NanoMEMC2) programme, Energy 2050 hosted a scientific workshop on 20 March, highlighting the research capabilities of the academic partners in the area of carbon capture, in order to showcase and disseminate their high-profile work in this field. Delegates attended from across Europe, in addition to a number of UK universities, who joined in with the technical discussion, lead by a panel of academic speakers and members of the project advisory board. The NanoMEMC2 project, funded by the European Commission through the European Union’s Horizon 2020 Research and Innovation program, aims to reduce the cost, energy and process limitations that make pre- and post-combustion CO2 capture non-viable in many industrial applications at present. Through the development of innovative materials, membranes and membrane processes for carbon capture, the project aims to make possible a substantial reduction in energy penalty, at a much lower cost and a reduction of CO2 emissions. Sheffield was a natural choice for the workshop, as it is home to the Pilot-scale Advanced CO2 Capture Technology (PACT) facilities; national specialist Research and Development facilities for combustion and carbon capture technology, encompassing advanced fossil-fuel energy, bioenergy and CCUS technologies for power generation and industrial applications. Throughout the day, the workshop’s technical panel identified how partners are collectively contributing to the development and deployment of low-carbon technologies, specifically membrane-based separation processes in energy and other carbon intensive sectors. 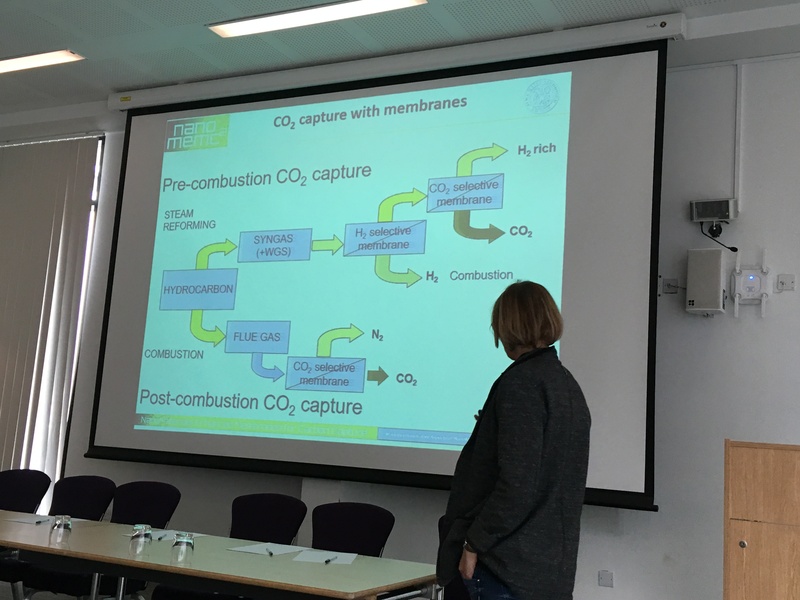 Dr Finney added: “Through the work so far, we have identified a number of industry sectors to target for membrane-based separation – predominantly for carbon capture (for CO2 separation) but also for natural and bio-gas upgrading through both CO2 and H2 separation. “These include a natural gas combined cycle system, an integrated gasification combined cycle, H2 generation through steam-methane reforming and a cement plant. Nanocomposite or mixed matrix membranes are being considered, with particular focus on facilitated transport mechanisms promoted by carriers attached to the polymer or the filler.